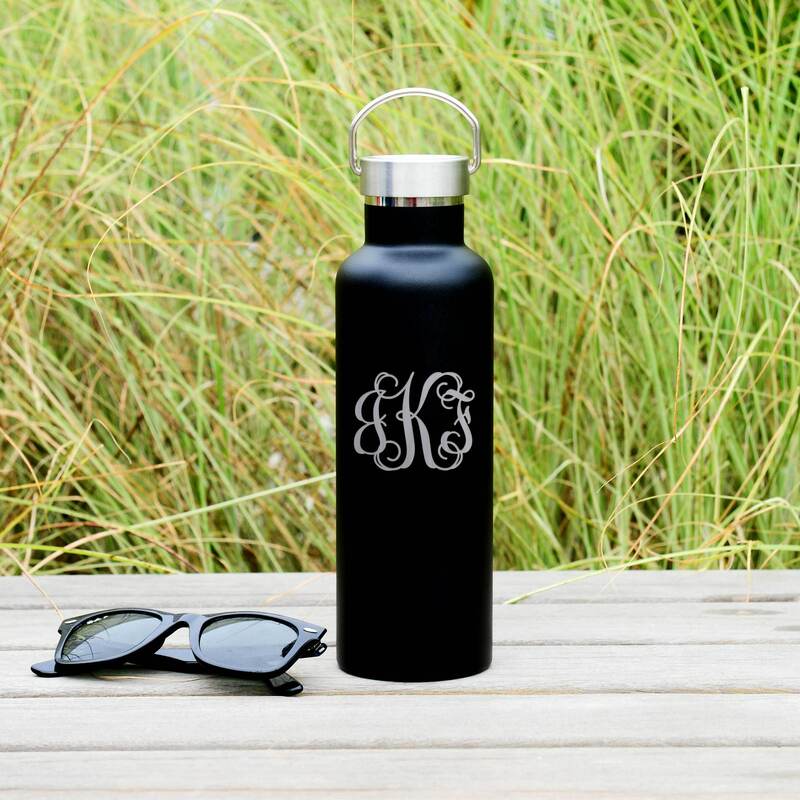 Engrave your own 3-letters monogram to this double insulated vacuum water bottle. This is our favorite classic interlocking design yet! The engraving is permanent (not printed vinyl) and will show a glossy silver finish of the stainless steel underneath the power coating layer. 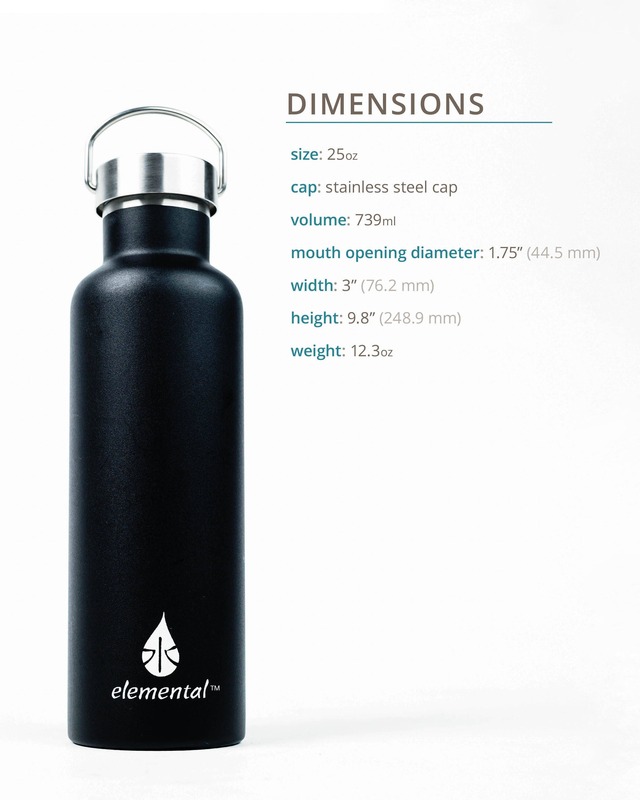 The 25oz vacuum-insulated water bottles come in six colors: matte black, matte teal, matte white, Robin's egg blue (light blue gloss), Storm Grey ( gloss), and Tuscan Sunset Red ( gloss). 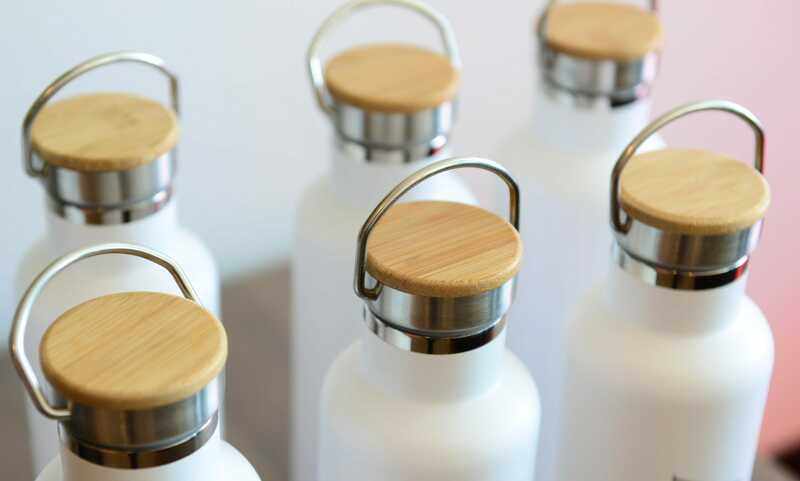 All bottles are outfitted with our popular easy-grip handle-lid and keep liquids hot for up to 24 hours or cold for up to 12 hours. 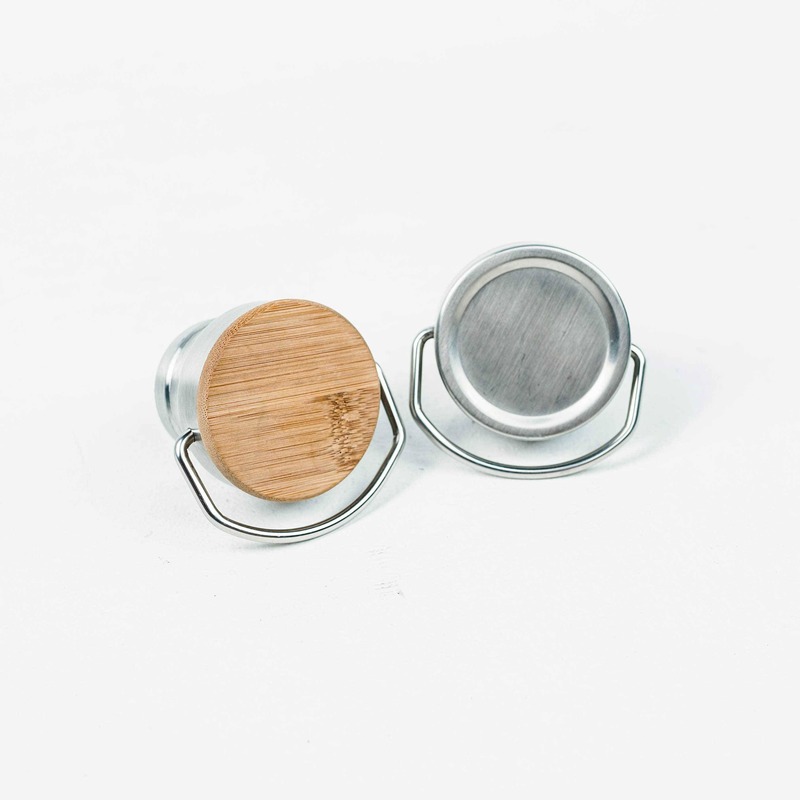 This slim profile fits easily in your car's cup holder, purse or backpack and holds enough to keep you hydrated during your work day or while on a short hike. It's the perfect size to bring to a full day of classes or for someone constantly on the go.